We have a great range of LED decking lights that will help to create an amazing atmosphere outside your home, that can be perfect for both long summer nights and even through chilly winter evenings as well. If you look below, you'll be able to find a wide range of decking lights that will be perfect for creating a perfect ambience on your deck. 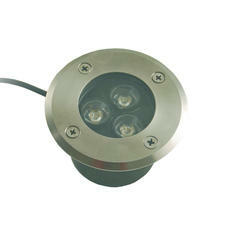 These lights can be perfect for either creating a setting or even using as a safety feature on your home. If you need help, see our guide on how to install decking lighting! The great thing about LED lights is that they give off virtually no heat, which is essential when you’re placing lights in the ground - it could spell disaster if you, family or guests are walking around barefoot. 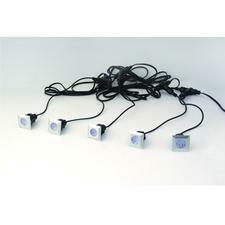 It’s definitely something to consider when installing these lights. Here at First Lighting, we offer a wide range of outdoor lighting solutions for your needs, and you won’t have to spend a fortune to get your hands on these products either. They’re high-quality and excellent value for money. Whether you’re looking for decorative items, practical solutions or a combination of both, here at First Lighting we have everything you need when it comes to decking lights. These lights can be used to create a focal point outside enhancing the appearance of your garden, provide brightness and illumination for events and boost security outside of your home too. You can also use LED decking lights on busy areas like steps and walk through areas, illuminating for both effect and safety. Think about installing them on areas where you eat too, whether it’s around barbecues, dining table, or serving areas outside of your home. Create mood and vibes in your garden with LED decking lights that are the perfect setting to unwind to at the end of a long day. They are the perfect accompaniment to any outdoor patio area. 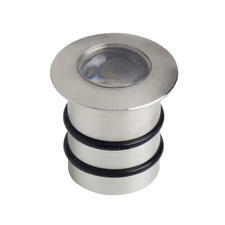 When it comes to designing your outside area it’s important to note that less is more when it comes to decking lights. You want to avoid over lighting the area as this can create stark and harsh lighting. If you take the time to plan carefully and design the lighting layout your effort will undoubtedly be worth the result. 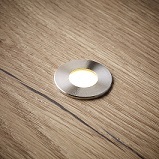 Lighting the right way can ensure your decking because an extra room in your home, extending your living space. LED lamps are safe to touch and they are fast becoming the standard in efficient lighting, seeing as they consume so little of it. 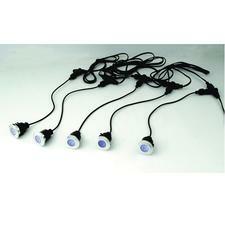 This helps with anyone who may use numerous lights for a prolonged length of time. Furthermore, they require little to no maintenance. For the safety of yourself and others, outdoor electrical products must be installed in accordance with local Building Regulations. And of course, a 100% waterproof installation is important. If you have any doubts, it’s important that you consult a competent person who is registered with an electrical certification scheme. 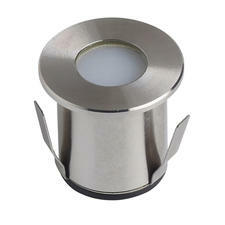 There are so many different styles and versions to choose from, fittings recessed into deck floor will provide essential mood lighting, whereas others can be mounted as post caps so they sit on top of veranda posts. With plenty of convenient, low-risk and cost-efficient ways to use lighting to illuminate your area, it’s definitely something to consider installing in your home.